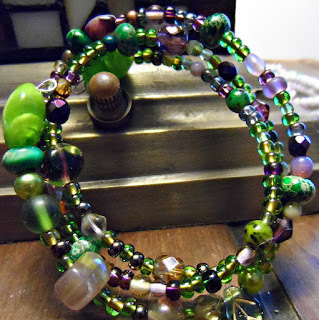 Last summer I started this blog with the express purpose of joining the Bead Soup Blog Party and other blog hops and similar events. I was very immersed in my jewelry making, and I was soaking up styles, techniques and the work of amazing, talented, and generous people. I participated in a craft show last summer, and sold more than I ever have at that show, and had a fine time selling at work, as I usually do. 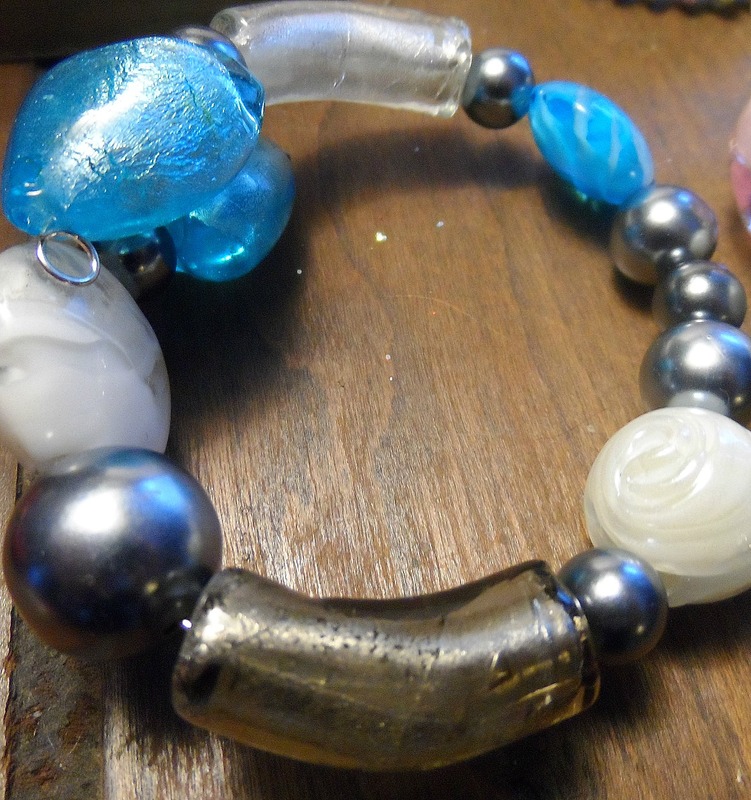 I began setting up my long-promised Etsy shop, and I made jewelry as usual. And then around the first of the year, I stopped making jewelry. 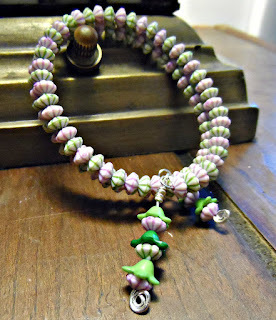 I have been exploring other art forms, but somehow I start very few jewelry projects, and haven't finished...anything. Hmmm. The Bead Soup Blog Party is coming along, and maybe that will get me going. In the meantime, I have been reviewing some things that I've made recently. These earrings are a small example of what I have created over the years. Memory Wire Bracelets. These are made out of left over beads from other projects. Pendant Necklaces that have been sold. Pendant Necklaces that will be listed in my Etsy Shop. There, now it looks like a jewelry blog! I think so too. Your jewelry creations are lovely, keep up the good work. Thanks for your supportive comment, Betsy! I have been following your blog for the past year or so, soaking up the lovely creations you have come up with, and the general "wow factor" of your junking expeditions. I'm just getting a post together about my partner. Thanks for stopping by!